For her first official outing with boyfriend of over a year Prince Harry, actress Meghan Markle chose to go for a monochromatic outfit — and we’re obsessed. 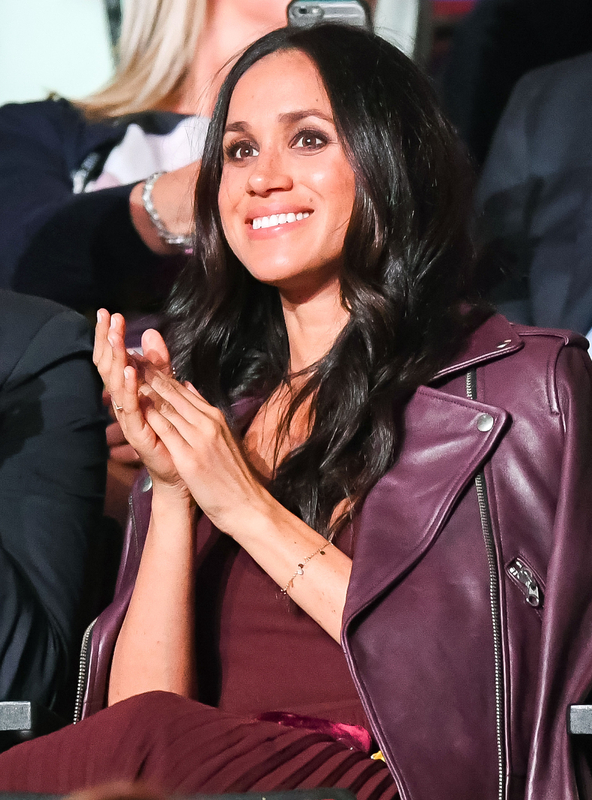 The Vanity Fair cover girl stunned in a burgundy Aritiza dress with a pleated skirt at the Invictus Games in Toronto on Sunday, September 24 and topped the look with an oxblood leather Mackage moto jacket draped over her shoulders. 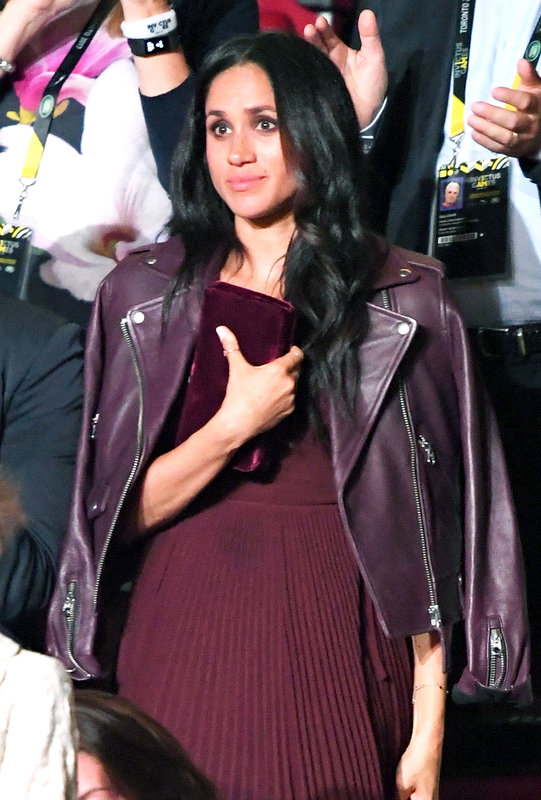 Markle accessorized with a color-coordinated velvet clutch, which, along with the the pleats in her skirt, added texture to her outfit. The actress even rocked a burgundy eyeshadow to keep within the monochrome color scheme, but kept the rest of her makeup pared down. Markle wore her hair in a sleek blowout with body — part of her signature look. Overall, it made for a look that was classic and elegant but still fun and on-trend. We couldn’t think of a better choice for the occasion. Prince Harry is said to be staying in Toronto until September 30, and given that Markle appeared with him once, Stylish is hoping there might be more Meghan Markle fashion moments alongside her beau to oogle over before the Invictus games come to a close. Tell Us: What do you think of Markle’s outfit for her first public appearance with Prince Harry?